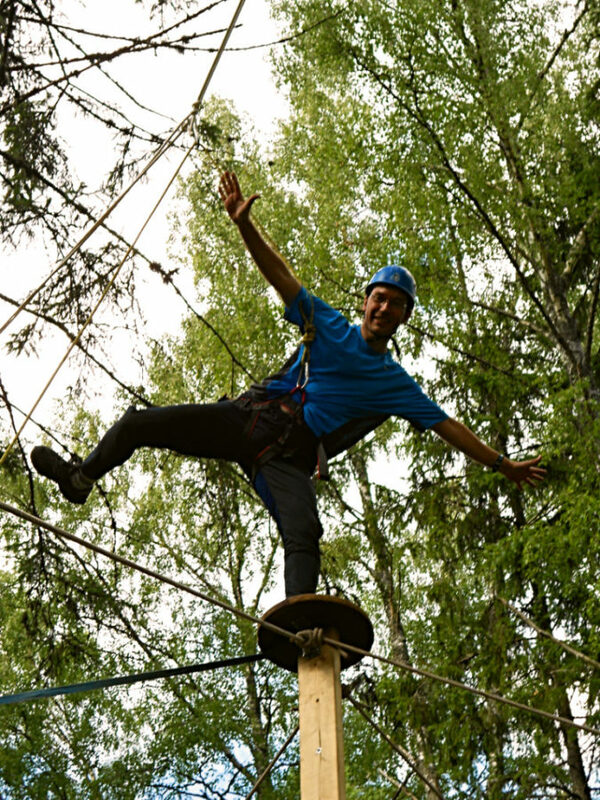 Take a few friends or co-workers and come experience Raudsilla Adventure park! This 100 metres long zip line is situated on top of the Baltic Klint. What makes our zip line unique in Estonia is the catapult at the bottom which slingshots you back up the zip line! During our teambuilding adventure game we set up a target in the middle of the zip line which participants need to hit with a sandbag. Raudsilla climbing tower is a vertical wall 6.5 meters high. 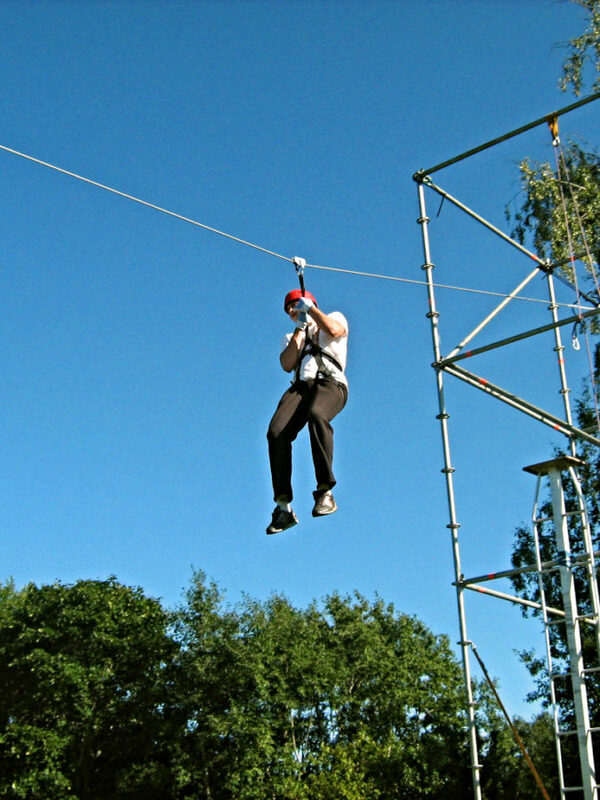 Protected by safety harness guests can undertake this challenging obstacle. 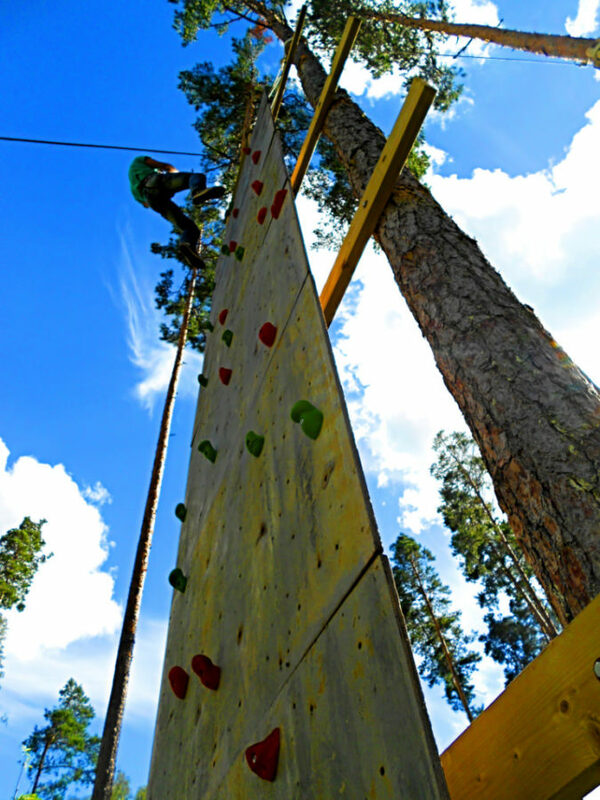 The idea of our low altitude adventure-park is to put our guests to the test physically, test their coordination and prowess. …brings out some hesitation in even the bravest guests. This park is mainly targeted to guests interested in testing their limits. This game if aimed to improve teamwork. In the beginning of the game teams are given maps with different checkpoints. Each checkpoint requires teams to put their enginuity to the test. 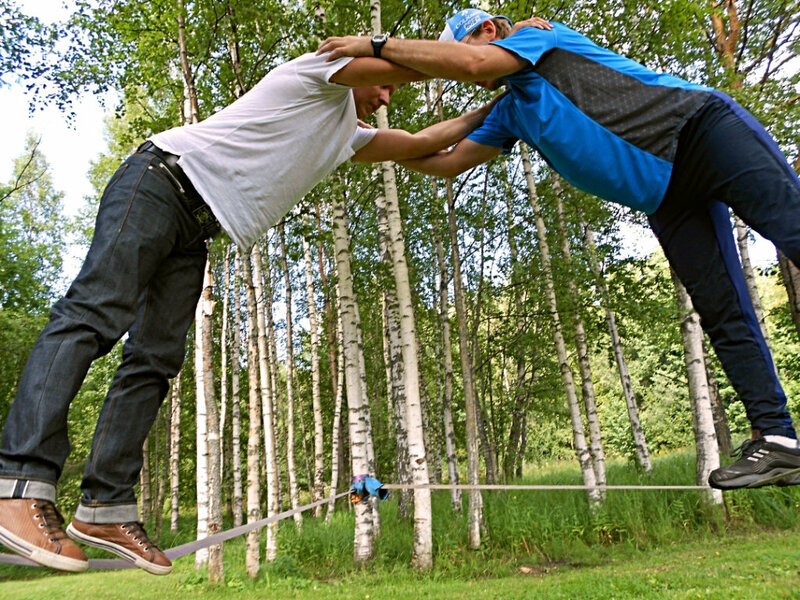 Checkpoints in this game vary- some might be connected to heights, some might encourage you to place your trust in your teammates. It’s fair to say- without teamwork success in this game is impossible! This is a character building sport requiring self-control. 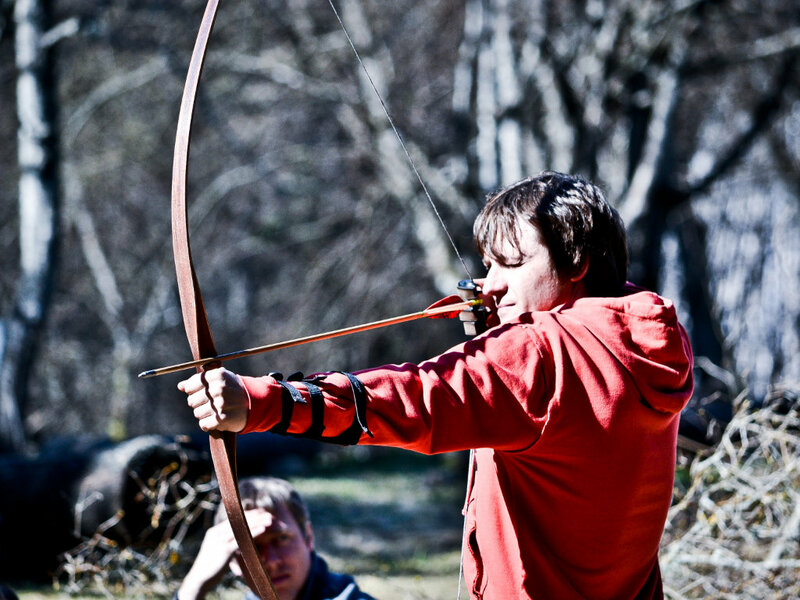 On the other hand archery is a great way to relive stress. A winter activity. Our guides talk about their history with dogs. After which the snowy surroundings of Raudsilla are explored. Have anything else in mind? Don’t hesitate to ask and we will make it happen! Everybody loved your complex and there were plenty of extreme factors! A lot of effort has been put into this complex and it’s very well thought out. We left with fond memories, overcome fears and some bruises- but thats all part of it!